As a full-service renovation company serving Plano and nearby areas in Texas, Star Home Remodeling prides itself on being able to complete all aspects of the design and renovation process, ensuring our clients don’t have to partner with multiple firms for their projects. During a design consultation at our showroom or your home, we will learn about the vision you have for your house and create a stunning design that complements your aesthetic preferences, caters to your unique needs, and respects your budgetary limitations. Additionally, we’ll take the time to educate you about all of the options available to you so that you can make the best decisions for your renovation. When you partner with us for your home remodeling project, you can feel confident that we can complete virtually any renovation service you are in need of. Some of the popular projects we complete include full-scale kitchen remodels and bathroom renovations. Furthermore, we can custom design and build a wide selection of home additions, including in-law suites, master bedrooms, guest bedrooms, home offices, and family rooms. What’s more, we can provide you with the customized products you want to incorporate into your updated space. These upgrades can include anything from masterfully crafted cabinetry to a luxurious soaking tub. 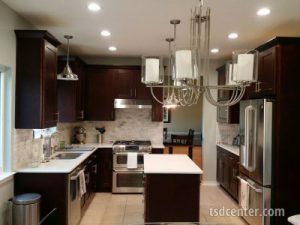 To learn more about the renovation services we offer to homeowners in and around the Plano, TX, area, contact Star Home Remodeling today. We’ll be happy to answer any questions you have and speak with you further about our work, which has earned us a number of accolades throughout our many years in business, including multiple Best of Houzz awards.